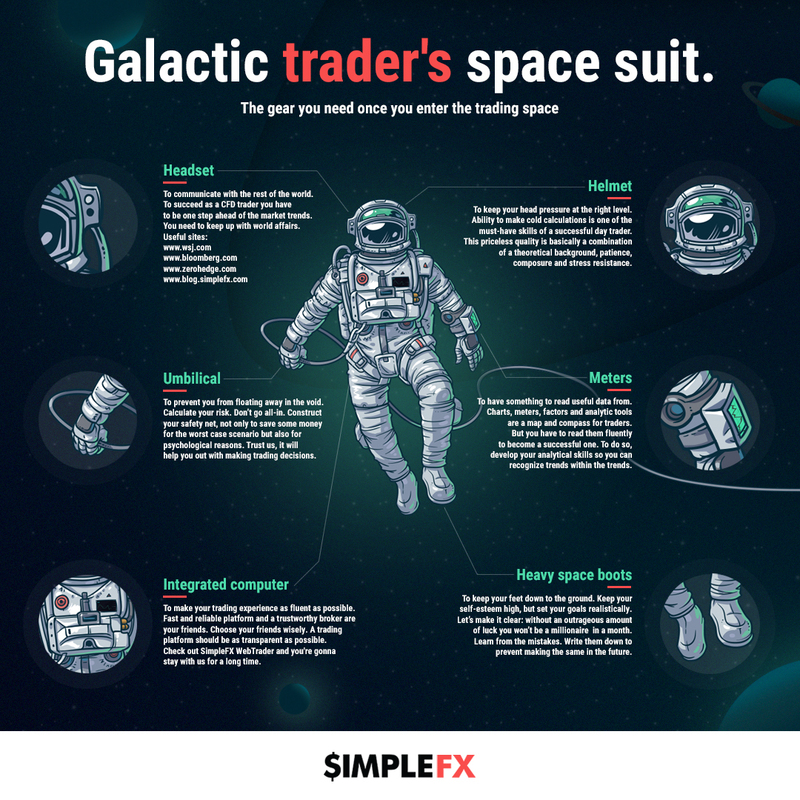 Here's a funny infographic prepared by SimpleFX Creatives. Yep, unlike our bigger competition we like to compare ourselves to we have our in-house creative team. Hope you like it. 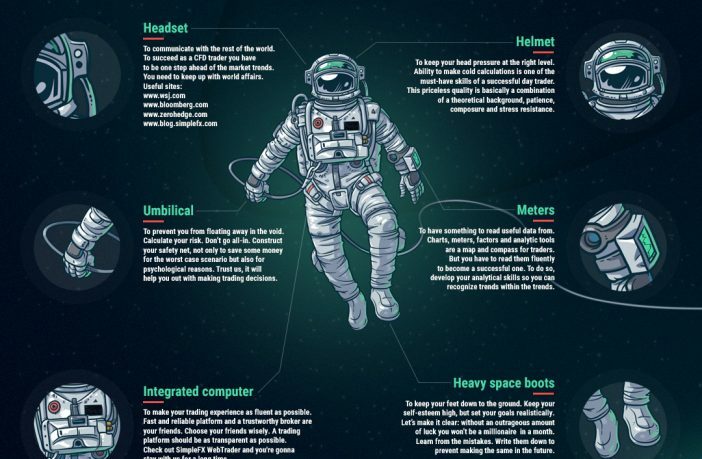 Here's the gear you need once you enter the trading space. Feel free to share the image anywhere you want! To keep your head pressure at the right level. Ability to make cold calculations is one of the must-have skills of a successful day trader. This priceless quality is basically a combination of a theoretical background, patience, composure and stress resistance. To keep your feet down to the ground. Keep your self-esteem high, but set your goals realistically. Let’s make it clear: without an outrageous amount of luck you won’t be a millionaire in a month. Learn from the mistakes. Write them down to prevent making the same in the future. To make your trading experience as fluent as possible. Fast and reliable platform and a trustworthy broker are your friends. Choose your friends wisely. A trading platform should be as transparent as possible. Check out SimpleFX WebTrader and you're gonna stay with us for a long time. To have something to read useful data from. Charts, meters, factors and analytic tools are a map and compass for traders. But you have to read them fluently to become a successful one. To do so, develop your analytical skills so you can recognize trends within the trends. To prevent you from floating away in the void. Calculate your risk. Don’t go all-in. Construct your safety net, not only to save some money for the worst case scenario but also for psychological reasons. Trust us, it will help you out with making trading decisions.